Posted by Brittany Bosher on Wednesday, January 27th, 2016 at 2:04pm. Located at 501 Plaza Real, in Boca Raton, Florida is one of the finest displays of culture and art in South Florida, the Boca Raton Museum of Fine Art. Boca Raton’s Museum of Fine Art offers a world of incredible art to its guests. With both a permanent collection as well as temporary exhibitions, the museum is home to pieces by some of the most famous artists in the world. Works by Picasso, Matisse, Degas, Arman, Modigliani and Andy Warhol are just some of the amazing artists on display at the Boca Raton Museum of Fine Art. 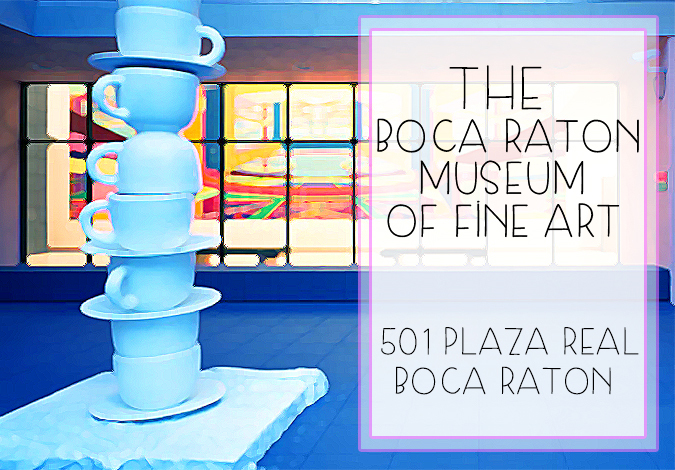 The history of this fabulous museum is deeply rooted in the history of its city, Boca Raton. The Boca Raton Museum of Fine Art has been accredited to being the “cultural impact” that has influenced other small towns to showcase such levels of fine art. The museum dates back to the late 1940’s, when a local group of lady socialites came together to form the town's first organization, a civic club, with the goal to build a small library. They soon offered an open house in their “library” which showcased an exhibition of borrowed paintings, loaned to them by friends with a great collection as well as other local galleries from Miami to Palm Beach. Over 1,000 locals came out to support the open house and the love of fine art. From here the women formed the “Art Guild of Boca Raton” was born. Years later the Boca Raton Museum of Fine Art has grown exponentially. They now offers classes, educational programs and tons of fabulous, rotating exhibitions every few months. This incredible cultural icon is a must see if you are visiting or living in Boca Raton! Click here for more information about the Boca Raton Museum of Fine Art.